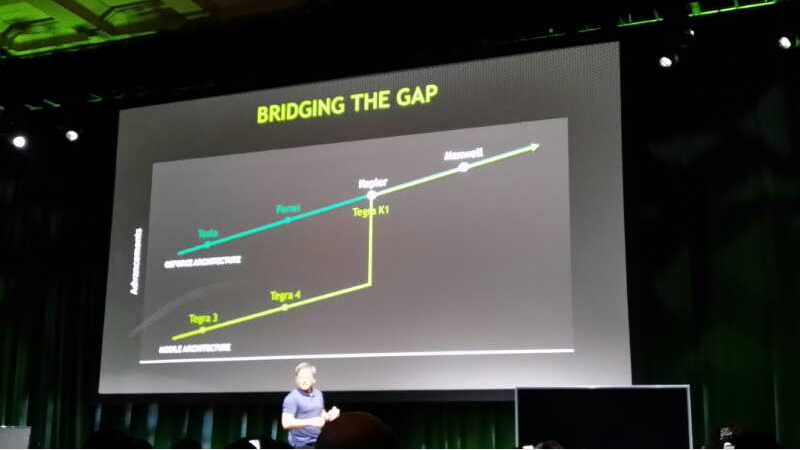 NVIDIA, in a press event to kick off CES 2014, just announced the TEGRA K1, the world’s first 192-core “Super Chip.” We’re talking mobile architecture that’s as good as PC architecture. At this point, we still don’t have devices that are running the processor, but we do have a bunch of demos. As you can imagine, the K1 is impressive on a number of levels. If you were looking for the ultimate gaming chip for mobile (or any platform for that matter), this would be it. Look, this all sounds amazing – mobile devices on-par with PCs – but if we don’t get devices running this power on a mainstream level, it means nothing. Give us hardware partners. According to NVIDIA, we won’t see any devices running K1 until the first half of this year some time, and that’s only for the 32-bit version. the 64-bit version is “expected” to arrive some time in the second half of this year. The live press event is still going on here, follow along as we update this post. 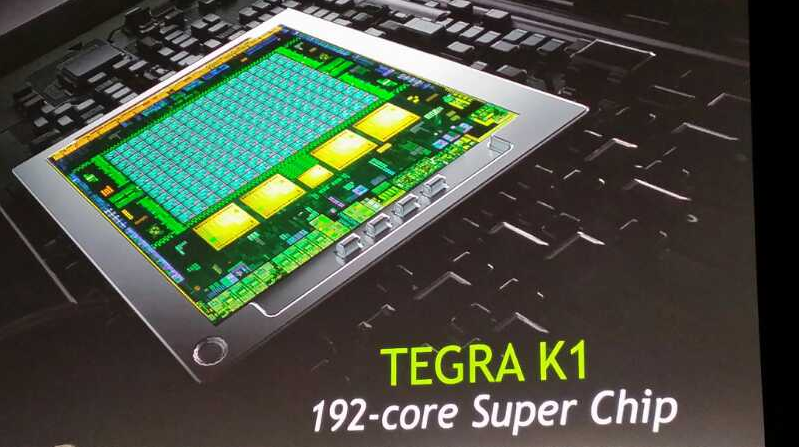 TEGRA K1 comes in two versions. First version is the quad-core A15, but the other version is “DENVER” CPU. It’s a full custom CPU, based on ARM V8 64-BIT. According to the press release, we should see the 32-bit version in devices in the first half of 2014, while the 64-bit version is expected in devices in the second half of the year. We’ll have more once NVIDIA releases full details.